My dog team lined out in St. Elmo Colorado, outside the old general store. 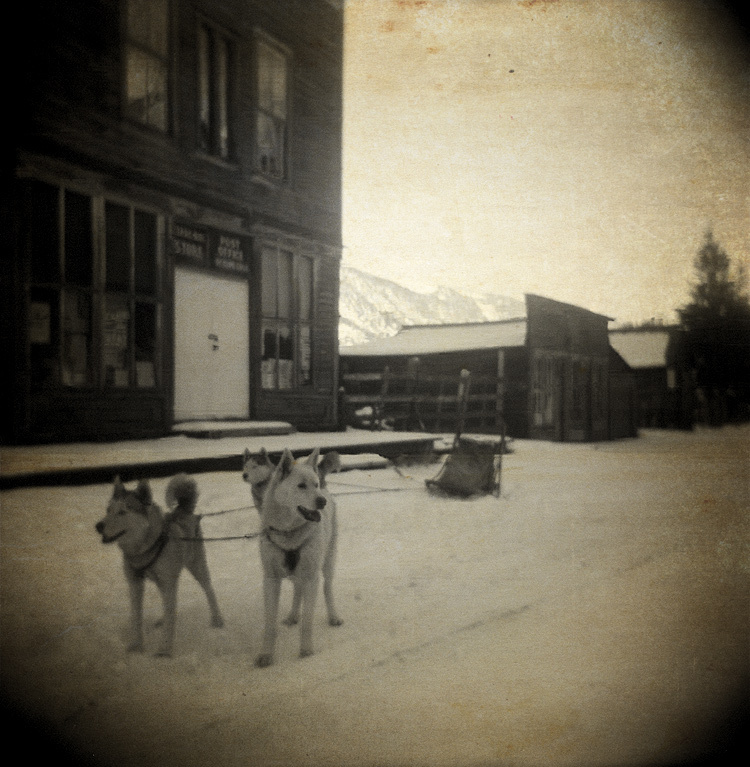 It was a rare experience to drive the dogs down the main street of a ghost town. I always think of Alaska or Canada when I think of dog sleds. I like your old photo processing on this. Great mood in this one. Such a wonderfully timeless..evocative winter scene. Love the mood you've captured/created here.